Teachers face challenges on many fronts. To name a few: changing technology, increase in the amount of information to disseminate, engagement and active participation of students, etc. Course content is shared through various mediums even within the conventional classroom. In addition to this, the number of learners’ using mobile devices for taking their courses is also on the rise. 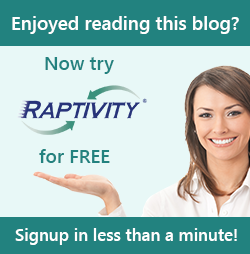 I would highly recommend you to try Raptivity yourself. With this software, teachers’ have all the time to focus on learning than technology. You could check out some interactivity samples by clicking on the image below. Let me know your views on how teacher’s focus on learning.